The Alaska LNG project, one of the largest in the world, cleared a major hurdle Thursday as the DOE granted it an export licence. Alaska Senator Lisa Murkowski (R-Alaska). The $50 billion project will export natural gas from Alaska’s massive North Slope resources to non-free trade countries like Japan, China, India and Taiwan. Approval for export to free trade countries was granted in Nov. The Alaska LNG project would transport gas through an 800-mile pipeline and liquefy it in Nikiski for shipment to export markets. Department of Energy (DOE) officials announced the license approval in Anchorage at a roundtable on the federal permitting process hosted by US Sen. Lisa Murkowski (R-Alaska). “Receiving the conditional license to export LNG to non-free trade agreement countries is a major milestone for the Alaska LNG project and great news for Alaska,” Murkowski said. The Alaska LNG Project is a partnership between the state of Alaska, the Alaska Gasline Development Corp., BP, ConocoPhillips, ExxonMobil, and the pipeline company TransCanada. The license, which would allow exports of up to 2.55 billion cubic feet of natural gas a day for 30 years, is conditional on final regulatory approval of the project by the Federal Energy Regulatory Commission (FERC). The Alaska LNG Project is currently in the pre-filing process at FERC. 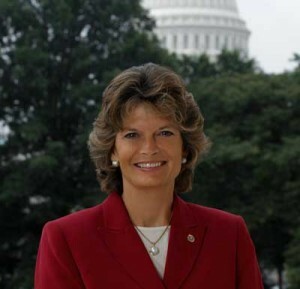 Murkowski noted that DOE’s 30-year authorization – a full decade longer than typical – was justified by the size and scope of the Alaska LNG Project, which could cost as much as $60 billion. “The volume of 2.55 BCF a day and the length of this authorization are necessary to support a project of this size and scope,” Murkowski said. Alaska has 35 trillion cubic feet of proven gas reserves on the North Slope, and the potential for 200 trillion cubic feet more both onshore and offshore of Alaska’s northern coast. Alaska also has a 44-year history of shipping LNG from Cook Inlet to Asia from Nikiski. “I have always indicated that coordination at the federal level will be key to the success of an Alaska LNG project. When the prospects for Alaska gas changed from an overland pipeline to an LNG project, the federal tools changed.” Murkowski said. The Department considered the Alaska application separately from other currently pending LNG export applications in the lower-48 states due to the relative geographic isolation of the natural gas resources on Alaska’s North Slope. North Slope gas has been a stranded resource unavailable to commercial markets. 1 Comment on "Alaska LNG: $60 billion project gets condition approval"
I’m afraid the selephe are going to elect more of the thieves who steal from producers and give to the lazy just enough to keep them in beer and couches to watch sports on TV.